Discussion in 'Calibration, Help, and Troubleshooting' started by Karel, Apr 1, 2016. I finished my printer and the bench came out perfectly, so I am very happy with my BigBox. However, when i try to print something larger, the front left side of the printing area doesn't hold the PLA good enough. As far as I can feel it with my hand, it has a significant lower temperature than the right side. I am printing PLA with a bed temp of 70ºC, which normally should hold well. And yes, the glass area was thoroughly cleaned and degreased. Any ideas? I usually use a Uhu stick for larger prints, also with PLA. 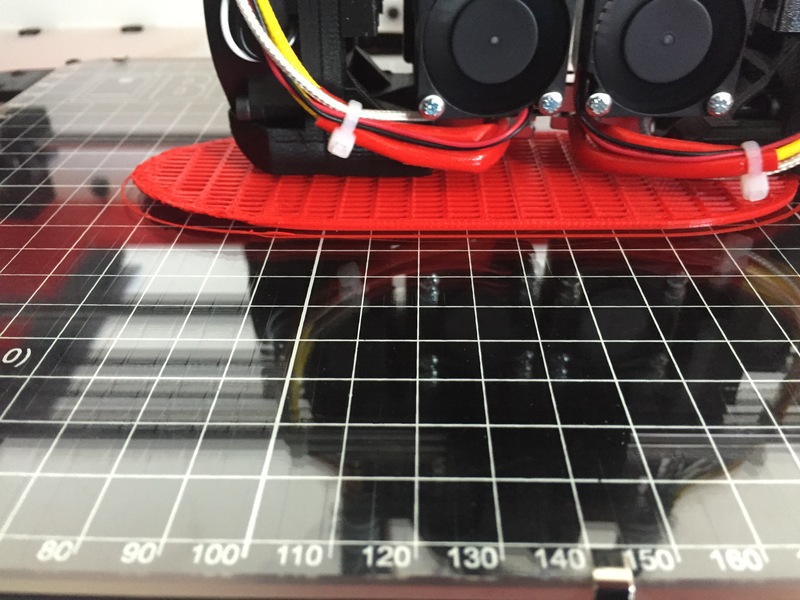 Even with heated beds PLA tends to warp at larger prints without some sort of bed preparation. Some people use hairspray, painters tape or kapton tape. But I get good results with a thin layer of Uhu stick glue. Yes, you're right. It is possible that a part of the copper paths of the heated beds are broken, you could measure the resistance of the bed. I do recall someone mentioned the resistance of the bed somewhere on this forum. Thanks. As i see it correctly the bed should be 2.8 ohms. I'll measure it tonight and keep you posted. I thought I saw a write up somewhere that the bed is hottest in the middle and then the temps gradually decrease as you move out. Someone with more knowledge(BB Team) should answer. The bed is definitely cooler around the edges. I recently got a FLIR ONE IR camera and have repeatedly confirmed this. However you might also check that the PCB is not sagging away from the glass. That affects not just the temperature but also the performance of the IR probe (10µm sag = 10µm Z inaccuracy...). Mine was sagging in the middle and towards the left. I shoved some foam underneath it to push it up against the glass. Well, I am measuring a resistance of 2.2 Ohms at the end of the cables with my Fluke. So there might be a problem here. Anyone from the team that can chime in? @Greg Holloway : What should the resistance of the bed be ? ~2.7 if I remember right.